In between the French Alps and the Isère River, Grenoble (162,780 inhabitants) is a city with numerous local initiatives reclaiming the Right to the City and the Right to Housing, the ecological transition and an economic model based on commons (see the report made by the Committee after its mission to the city last March). It should also be noted that given its economic dynamism, the city has historically received a high number of migrants; something which led its local government to develop policies to ensure social cohesion and access to local democracy and to universal rights for all its citizens. In order to know more about these initiatives, the Committee met with the city’s Deputy Mayor on International Solidarity, Bernard Macret, during Gwangju’s last World Human Rights Cities Forum. Q1: What is the migratory context of the city? Like most industrial French cities, Grenoble has welcomed for over a century a large number of immigrant population. As a result, the city is now a cosmopolitan centre with more than eighty nationalities. The Italian immigration, due to geographical proximity, was predominant between the 1st and the 2nd World War. It was then relayed by immigration from the Maghreb. It were indeed Maghrebians, Italians, Portuguese and Spaniards those who built Grenoble, especially during the 1968 Olympic Games. Q2: What has been the action plan of the municipality regarding foreign residents? In 1995, I was elected councillor of the City of Grenoble in charge of migration and inclusion of newcomers. The establishment of several working groups lead to the creation of the Council of Foreign Residents; an institution which, thanks to the support and engagement of civil society associations, foreign residents involvement and elected officials, was officialised in October 1999. Thorughout the whole process, we had various debates whether it was necessary to foster specific measures to include migrants or, considering that we are all equal, they should just fit into general law. Some people argued that “Republican integration” only required access to French nationality. Many associations also focused on defending the right to vote for foreign residents, something which was actually achieved in1998 by European Union citizens on municipal elections. Many cities in France have similar Councils of Foreign Residents just like Grenoble - for example, Paris, Strasbourg or Lille. Other cities used to have associated foreign councillors until extreme right parties sued them. Q3: How is the Council organized? What are its main goals? For the creation of the Council, we relied on articles 2143-2 of the French Local Governments’ Code and the Law of February 1992, which enable the creation of consultative councils on all kind of areas of local interest. The Council is composed by foreign residents from countries that are not members of the European Union, being one of its main priority to strengthen foreign residents participation on the whole of municipal life: transport, employment, housing, education ... including also the full right to vote in municipal elections. Our municipality also seeks to strengthen the relations between the Council and other local mechanisms for citizen participation, such as the “Neighbourhood Councils”. The Council membership relies on the notion of residence. Indeed, all residents who live in a neighbourhood of Grenoble after several years pay their taxes and often participate in the social life of the neighbourhood. The objective is to demonstrate that foreign residents’ participation in the municipal life can enrich local democracy. Q4: What does the city do to fight racism? Unemployment and racism particularly affect residents of North African descent. They are often considered dangerous and practices of ethnic profiling are recurrent among police officers. Discrimination affects their direct access to education, employment and housing. At a political level, we are also concerned about the continuous rise of extreme right parties and their supporters. However, solidarity gets organized in our city, especially through local associations and civil society organizations. In this regard, the city of Grenoble has launched various initiatives, such as a refugee hosting platform or a campaign against discrimination that takes place every 21 March. 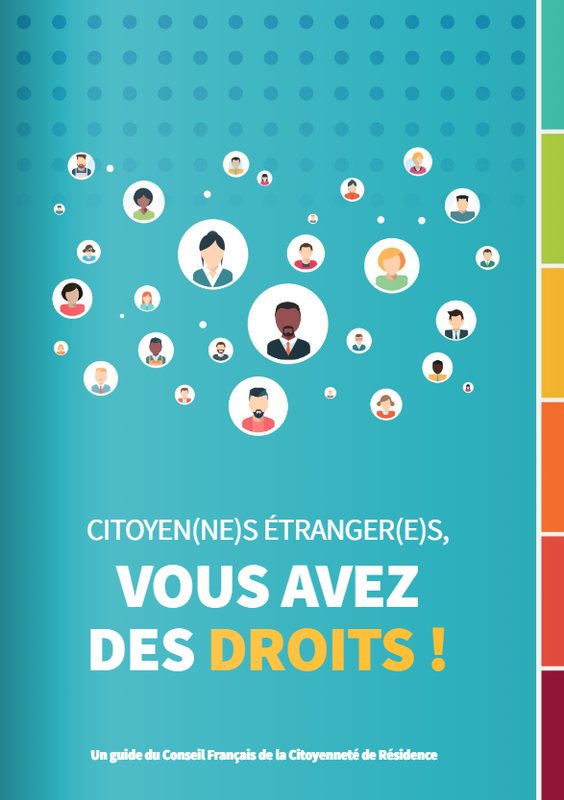 Grenoble has also published a guide on access to human rights for foreign residents. After 2014, the initiatives of the Council have focused on access to rights for migrants and to fight against discrimination. The Council is essential for enhancing our local democracy and our municipality is trying to support its efforts.